Note: The caliber exchange kits are currently not compatible with the P320 chambered in .45 ACP. 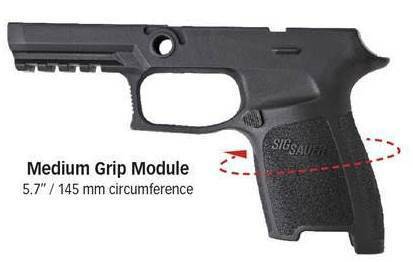 The additional parts required to make the caliber exchange kit work with this pistol should be available by Sig Sauer in the near future, but we have no ETA on this. Having several Sig Sauer guns. I am confident this will prove to likewise be a quality firearm.